Reveal.js or rvl.io is a new browser based presentation tool that makes presentations in a cubed type format. Users can create a presentation and then go left, right, up, down and vice versa. The editing is simple and presentation styles are applied to the slides while being edited so that users know exactly what they are getting. Presentations can be viewed in any modern browser, including mobile devices. Themes and transitions allow users to make sure the presentation appears just the way they want them too. Presentations are private, but can be published and made available to everyone. Users can also export their presentations for when internet is not available. The presentations are HTML documents, so if users have HTML experience, they can alter the code using the HTML editor. Users can sign in using OpenID, Google, Yahoo!, or AOL. For more information and to see rvl.io in action, see the video below. Screenbird is another option for users looking for a screen-casting tool. There is no sign-in required to use the service and when finished with the recording, users can get a private or public link to their video. Users can record just a part of the screen or the entire screen and even redo parts of the recording if necessary. With the free (Basic) account users can record 150 minutes of video and the video will expire in 6 months. The free account does limit collaboration though. To learn more, see the video tutorial. If looking for a quick option to screen-cast, this could be an option for you. Quotes Cover is currently in beta and allows users to turn quotations of ordinary text into various forms a of typography art picture. As teachers we often post and use quotes in our classroom. Making them catch someone's eye might make the quote more memorable. Users can choose wording from the collections or create your own, choose an editor that allows you to edit for specific purposes, and then tweak the image for an end result. Users can create an image for a Facebook or Google+ Cover, an eCard, wallpaper, or just for prints. What you use the quote for will determine the size and other features. Users can choose your fonts and background colors and then even add other image aspects as well. Once finished, users can download the image to their computer. Teachers could utilize this service for their classrooms and students could use it for improving presentations. This came across my Twitter Feed and I felt that it was worth passing along. The Teacher's Guide to Using Videos is an excellent resource for teachers wanting information about where to find the best videos to use in the classroom. The guide also helps understand how to evaluate a video, where to find some of the best video creators and curators, and how to get students engaged in using videos in the classroom. Users will also find resources for videos across the curriculum. To see the original post about this resource, check out MindShift. 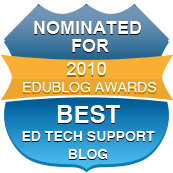 While looking through my Google Reader (actually my new Feedly account since they are getting rid of Google Reader) I discovered this blog post on Edutopia. It was written by Catlin Tucker who is a Google Certified Teacher that teaches 9th and 10th grade English. My school district does not currently use Google Docs, but we are in the process of integrating the new Office 365 programs which will allow several of the same concepts and ideas mentioned in her blog posts. I know several of my readers are Google Docs users and thought I would pass along this great information. The blog posts comes from her presentation at the ISTE Conference. I appreciate when people blog about their presentations at conferences because MANY teachers do no get the opportunity to attend them and this provides a valuable way to share the ways they are integrating technology or using a strategy in the classroom. The post also provides how using Google Docs matches with the Common Core State Standards. I highly recommend checking her post out if looking for ways to use Google Docs for writing. Myndbook is another option for students and teachers to utilize when looking for a mindmapping tool. I recently wrote a post sharing other options that you might be interested in reading. Myndbook provides a very simple user interface and does not require a login to use immediately. By creating a free account, users do have the option to save and go back and edit mind maps that they have created. The interface allows users to easily move from one part of their mind map to another and adding new aspects is also simple. There are some interesting features. Users can print, present, or turn their mind maps into Flashcards and an outline. Myndbook allows users to alter the colors and user text editing features as well. There is also the option of adding in links or utilizing HTML. Connecting aspects of the mind map is as simple as click and drag. By logging in with Facebook users can share their mind map with others. Myndbook would be a great option for taking notes from a textbook or an article. Yesterday through their Blog, Google announced a new note-taking app called Google Keep. "With Keep you can quickly jot ideas down when you think of them and even include checklists and photos to keep track of what’s important to you. Your notes are safely stored in Google Drive and synced to all your devices so you can always have them at hand." If you prefer to speak instead of type, that is fine, because Google Keep transcribes voice memos as well. Users can also use a search to find archived and even deleted notes. As users create notes you can change the color of those notes and move them around throughout the app as well. "You can access, edit and create new notes on the web at http://drive.google.com/keep and in the coming weeks you'll be able to do the same directly from Google Drive." For more information, see the video below. Padlet announced yesterday through their blog that users now have the ability to export and print their walls. Users can export their walls as a PDF, Excel document, CSV file, or as an image. It is great to see a company listen to their users. This feature was created due to receiving emails from users requesting its addition. To export users just click the Share/Export button and then choose from the available options. This is a great feature for teachers who need "paper" documentation of assignments and lessons that they have created on Padlet. As a social studies teacher, I often would show videos in my classroom to provide a visual to the content that I was teaching. Most main stream movies are good additions, but you might often run into students who have watched them. Documentary films provide all the good information without the impact of Hollywood. Below are two directories for documentary films. Documentary Tube is a directory of videos that you can find on other websites. You won't find videos housed on the site, as this website will point you to other websites where you can find the films. Users can use the search tool or can look for videos based on categories. Users can search the top 100 as well. If interested, users can also suggest a videos to add to the Directory Tube. Documentary Guide is a simple search engine that allows users to type in video information that they are looking for and discover films and videos. Users can also define their search to help with their video discovery. FastFig is a website for math teachers and students. The idea is predictive math text. As users create problems the software will provide the answer for the user. You can currently use it for free and by examining the website there is a plan for requiring payment to use it in the future it appears. Through an exhaustive search of the site I was unable to find what prices will be. Users can choose between a blank page or working in algebra, trigonometry, engineering, and even word problems. There are various calculator functions based on the type of mathematics users will be completing. I was pretty good in math. 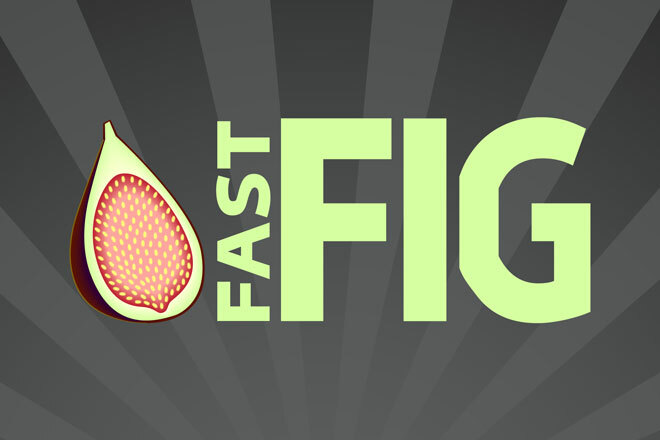 But I am sure that math teachers would have a better understanding of how FastFig works. There is a great tutorial at the beginning and also a search that helps find functions to use with the service. I also worry about its use by students to solve problems instead of trying to solve them on their own. At the same time, it is important that teachers know about these types of sites and that students might use them. Google Field Trip is an iDevice App and Android App that allows users to discover the hidden things around you while you travel around our world. Field Trip runs in the background of a phone and when a user gets close to something interesting it will notify them. If a headset or bluetooth is connected, the app will even read the information to the users. For education purposes, the app will help users learn about the local history and even provide other information like eating options. The information feeds that users choose will help determine the information that the app provides. To see a promotional video for the app, see the video below. Word of caution...it currently is quite the drain on the battery according to some reviews. However, I could see how this app could be utilized for classroom field trips. Questbase is a free service that allows users to create quizzes, tests, assessments, exams, surveys, or polls online or to be printed and given by paper. Quietbase is currently in Beta and is compatible with all browsers, mobile, and desktop services as well. There is not software to install or configure, just create and take assessments from any computer or device with an Internet connection. Users can manage online exams, import questions, and mix in several different question types. Assessments can be published online and embedded into a website. If assessments are taken online, answers are graded automatically. Statistics and charts are available as well in order to examine results. To learn more, check out their features and benefits. Users can also search for assessments that have already been created. Users can determine whether to provide a pass code to take an assessment as well. Remember, the service is still in beta and not all aspects are available, but QuestBase is definitely worth bookmarking. DropTask is like many other to do list applications available, but different in one major way. Gone are the list and typical calendar views. With DropTask, items are organized into circular areas that can have items of need placed and moved between areas. More important tasks can be identified easily and multiple tasks can be added and removed. Users can also look at their to do lists in a weekly view as well. Users can use DropTask individually or collaborate with others in a group. To get a better understanding of the DropTask, which is free to sign up, view the video below. Mobile and Tablet apps will be coming available in the future, but in the mean time the service is mobile browser supported. Growing up I played every version of SimCity. As versions got more complicated and more time consuming, my time dedicated to the game quickly diminished. I always thought that this game had a place in education but the technology in schools was just not there. Geography, Economics, Mathematics, Business, Marketing, Science, and on and on, are all relevant in this game and provide wonderful teaching opportunities. With the newest SimCity release, users can now adapt the game into the classroom. SimCity has created an education page dedicated to providing and sharing lesson plans using the game. Users can create an account and upload their own lesson plans. The use of SimCity would be a great way to reward kids or provide relevant work related to the game. Students could easily relate the game to real world situations and answer "What if" questions. To learn more about the most recent version and previous versions, visit the SimCity homepage. Scoot & Doodle is a collaborative drawing environment that utilizes Google+ Hangouts to collaborate on drawings. In order to use the service for collaboration users must have a Google account. Scoot & Doodle does offer an incentive for schools that might be interested in piloting a iPad program. The software has all the usual drawing features as well as some others not seen on other collaborative type services. Once creations are completed users can revisit, add on, and share drawings from the digital portfolio. See the video below of a sample of Scoot & Doodle in use. Gooru, currently in Beta, allows users to search for educational resources, collections, and quizzes. At the top of the page, users have the ability to see current featured collections. Users can also click on categories from the various Core Subject Resources which are divided up by middle school and high school. With Gooru, users have the ability to customize collections, collaborate with other teachers, upload materials, and find content aligned to Common Core State Standards. To learn more about Gooru, users can join the Teachers Using Gooru Community to get further assistance. Each collection could include pictures, articles, videos, and more. From the collections, students can take quizzes in order to self assess their learning. There is also a Gooru Collections App available for iPads that allows users to search through the collections, play games, watch videos, read textbooks, and take notes. DropMocks is a free service where users can easily drag and drop pictures from their computer and create a slideshow. Once pictures are uploaded, users have the ability to reorder the pictures and then with the unique URL, users can share their slideshow. Users can sign in with their Google Account in order to edit and save the slideshows for later. DropMocks is very easy to use. See the video below for a quick look at how it works. Tagboard is a website that allows users to search for Hashtags from across multiple social media platforms. With the use of services like Tweetdeck and Hootsuite which allow users to post to both Facebook and Twitter at the same time, hashtags are appearing in more social media services than just Twitter. Through Tagboard, users can search for hashtags on Twitter, Facebook, Instagram, and App.net. Other sites can be added in the future as well. Once a users conducts their search, the results appear in a Pinterest style wall. You can look at all the services or pick just one. There is also a refresh available as new additions to the search are added. Users can also sign in to their Twitter or Instagram from the site and post a tweet to the hashtag they are searching. By creating an account users can create their own Tagboard which will help track the search results. Several hashtags have a corresponding link or website with more information. When available, users can click directly to those websites. Users can also share the Tagboard to various social media services and through email as well. As more social media becomes a resource for students and teachers, a service like Tagboard can become an important addition to the classroom. Tagboard could be another way for students and teachers to track their hashtags that they use for classrooms as well. The video below is starting to go viral as it portrays the current thoughts, ideals, and reality of Income Inequality in America. The video does an excellent job of portraying this information through the use of charts and graphs. Teachers across the subject matter could use this video in their classroom. Ideally, it would be more beneficial in a social studies classroom, but English teachers could use the video as a writing prompt. A good activity would be to take the same data and apply it to students in your classrooms in order to make it relevant to them. History and Government teachers could use the video and use recent historical events that created this reality in America. Sociology classes could develop a list of how it has impacted our country and ways those could be addressed. Either way, it could be a valuable video to share with students, especially high school students, as this is the economy that they are graduating into. See the video for yourself and draw your own conclusions. I highly recommend that you use Safeshare.tv or embed the video in order to hide the comments related to this video.